BIM means collaboration and this App is specifically designed for it. As a structural engineer, you can now easily communicate with MEP engineers and contractors to manage openings at high speed. Combining openings, approving or declining opening requests, creating voids in the architectural or structural model, as well as creating your response file can all be done quickly and effectively. Download the App for free and start accelerating your workflow! Approve or decline opening requests received from the MEP engineers and inform all parties involved in the project about the most recent status of the openings. Get access to a clear overview of all opening requests generated by MEP engineers. Enriched with detailed information like opening category, dimensions, shape, status, and many more. Useful options such as sorting and filtering on columns are also available and allow you to quickly find the desired openings. Simply select one or multiple approved openings and, with a single click, the App places the voids in your model with the correct dimensions. 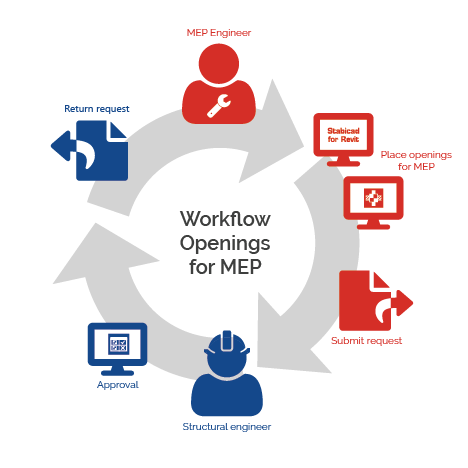 Create your opening response file and send it to the MEP engineer or contractor. They can easily import it in their model and see the current status of the openings. Easily combine multiple openings close to each other into a bigger one. Inform the MEP engineers to define their opening requests using the Stabiplan Openings for MEP App for Revit. This way they can easily submit their requests, saving a lot of time. As a structural engineer you can very easily communicate with the MEP engineer about openings, thanks to the new Stabiplan Openings for Structural Engineers App for Revit. This App allows you to respond to openings requests and send a response file back to the MEP engineer. You can use this App for free! For optimal results, inform your MEP engineer to use the Stabiplan Openings for MEP App for Revit. To create opening requests and send it to you directly. These two Apps work best in combination. 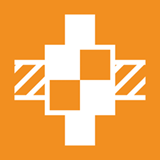 Stabiplan Openings Manager for Structural Engineers is brought to you by Stabiplan. It's free. There's more information available on the MEPcontent website.